At CES 2019, I tried Nreal's 85g fancy looking glasses, while it was a correct step towards the right direction, it have 6 major problems waiting to be solved. 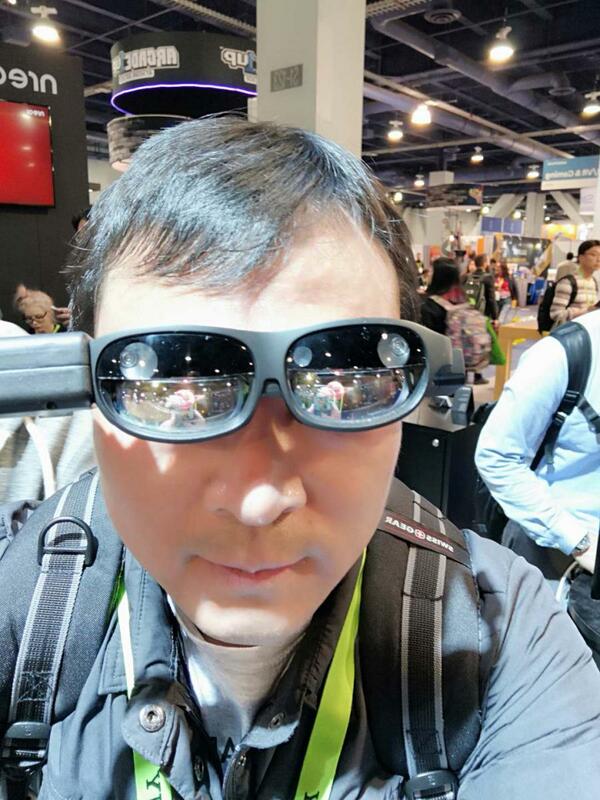 MILPITAS, CA, USA, January 13, 2019 /EINPresswire.com/ — During CES 2019, I tried Nreal 85g fancy glasses looking gadget multiple times. While I liked its form-factor, 85g weight and fancy looking, it have a few major problems to be solved before it can work in real life. 1) Nreal's 85g weight on nose is a fake industry design and it simply do not work in real life, as human nose can only support less than 30g daily prescription glasses (typical prescription eye-glasses weight between 15g and 30g) for long period usage. Nreal's fancy industry design appearance was specifically designed to attract public attention, not for real life usage. 2) Nreal has fundamental privacy protection flaw, as others can directly see what you are watching from outside, from ALL angles. This is the same problem showed up on ODG R8, Lenovo Disney StarWar AR, AntAR, etc., all of these headset share the same “Birdbath” optical design. 3) Nreal's 52 degrees FOV is too small to provide Movie Theater experience. Its screen size can compete with TV screen though, but the screen size is just not large enough to compete with Movie Theaters. 4) Nreal glasses setting on nose is too close to sensitive middle of eye area and it get noticeably hot in a 10 minutes use. Nreal need to move the thermal source out by half an inch or so to improve the comfortability, but it will change its current ID noticeably. 5) Nreal do not fit daily prescription glasses, while 40% of the world population wear their daily prescription glasses (this ratio is even higher in China). It means 40% of population either need to change their daily habit or be excluded from the customer base. 6) Nreal used the so-called “Birdbath” optics architect, which is complicated and not the simplest possible high image quality, large Field of View optical deign form. It is cheaper than the $2300 MagicLeap waveguide though, but Nreal's $999 price tag are still out of the reach of ordinary consumer. As a comparison, iGlass used the simplest off-axis optical architect, which use the inner surface of a reflective plastic mirror, and cheap LCD panel to achieve 80degree large FOV (30-feet giant screen size at 10-meter away) and 4K ultra-sharp image quality. iGlass puts its 130-gram weight on the forehead, with zero pressure on nose or face. It is so comfortable that even a 10-year old kid can wear iGlass for hours, like wearing a hat. And iGlass allows wearers to fit their daily prescription glasses under iGlass easily. More importantly, iGlass provide total privacy protection, only the wearer can see the 30-foot giant virtual screen in front of you, no light pollution to others. And iGlass cost is only $299, one third the cost of Nreal, within consumer affordability range. “While other players in the AR field are all concentrating on high cost gadgets targeting business oriented applications, we focus on developing high performance AR glasses for the consumer market, at a sub-$300 consumer price,” said Dr. Sam Yuan, CEO of iGlass USA inc. “We are ready to work with mobile phone companies, gaming console companies, and Airlines, electrical car companies to integrate our high performance low cost AR glasses into different consumer products. Of course, we are open to other AR glasses related vertical applications too,” said Sam. “Unlike streaming on your Phone, PAD or TV, where others can easily spot what you are watching, iGlass Mobile AR Theater projects the content directly to your retina, so you are the only person who can see the 30-foot giant screen in front of you. You could well be watching your favorite Victoria Secret Fashion Show without concerning your next seat neighbor on the airplane knows what you are enjoying. This type of experience is what we called Total Privacy on iGlass Mobile AR theater,” said Sam. “Unlike the immersive VR devices, iGlass AR does not create social isolation, you can eye contact with people around. Since you can directly see the darkened environmental background, wearing iGlass AR in public places are safe, without the type of risks like bumping into things, etc.,” said Sam. “iGlass wears like a hat, it is very easy to be put on and off, with zero pressure on nose and face. Even little kids can wear the 130g iGlass comfortably for a few hours. And it fit daily prescription glasses underneath nicely,” said Sam. “If you want to learn more about iGlass, in this 1.2 million people watched Video, Linus Tech Tips provided a detailed introduction on iGlass,” continues Sam.